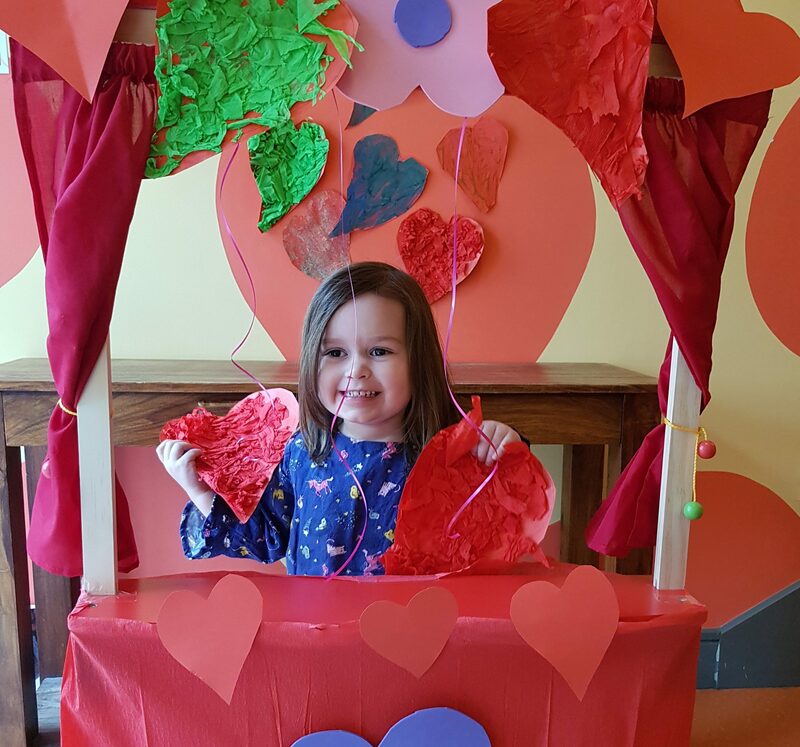 It’s never too early to foster a love of books with your child. Stories will teach them all they need to know about the world they live in, take them off on wonderful imaginary adventures and ultimately encourage literacy skills as they begin to read for themselves. Here are some of the children’s books we love and the children in our centres love! Babies learning to talk crave friendly words, repetition and plenty of clear pictures that are easy to focus on. The illustrations in Baby Boo! depict a number of babies photographed in simple black and white and juxtaposed with colourful, minimalistic text. This early board book is a visually stimulating experience for your child. Baby Boo! is a lovely, simple rhyming book celebrating babies of all dispositions with a mirror at the end for that extra surprise touch. This is but one of the hugely popular That’s Not My series, all of which use colour and texture to stimulate young minds. The simple, repetitive language ‘That’s not my tractor, its engine is too bumpy‘ is specifically designed to improve vocabulary, linking common adjectives ‘rough’, ‘scratchy’ etc. to inbuilt textures for babies to touch. Investigate the rest of the series for similar books discussing dinosaurs, teddies, princesses and many more. Few children’s bookshelves are complete without this longstanding favourite. This books has a wonderful sensorial element, with cutaway holes for little fingers to explore and colourful food to recognise and count. 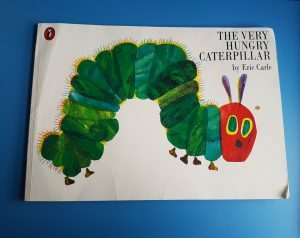 Toddlers will love to anticipate which foods the caterpillar will eat next. And of course his amazing metamorphosis into a beautiful butterfly! This is a timeless classic. Far and away the best book Giraffe ever saw on teaching the concept of colours to older babies. Your toddlers and pre-schoolers will also enjoy searching for the hidden objects and counting their findings too. There are only a few books that truly stand the test of time as children’s learning abilities develop so quickly, but there really is something for every age in here. Few things induce the giggles in three-year-olds more than the subject of underpants, and this brilliantly funny book capitalises on the effect. 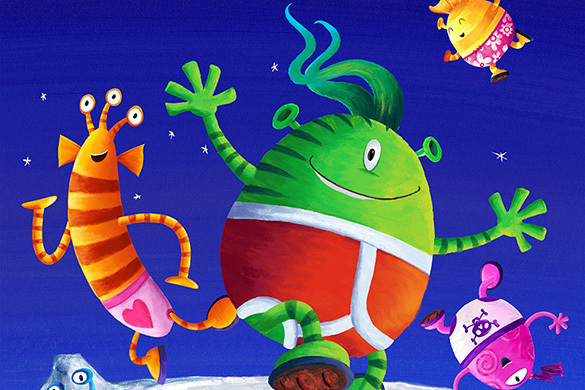 It’s a zany tale about how aliens came to earth to steal your knickers! This is only the first in the series, which has been expanded to include the underwear of pirates and dinosaurs. A fun bedtime read. The author Julia Donaldson and illustrator Axel Scheffler deserve a special mention here, as the multi-award winning team behind The Gruffalo, The Snail And The Whale, Monkey Puzzle and many more much loved titles. 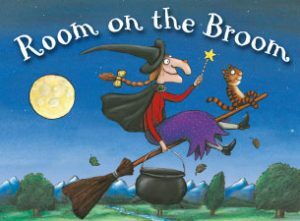 In ‘Room On The Broom’, we learn the tale of how a witch and her various animal friends overcome all manner of obstacles as they fly through the air. Many of the children in giraffe know this one off by heart! 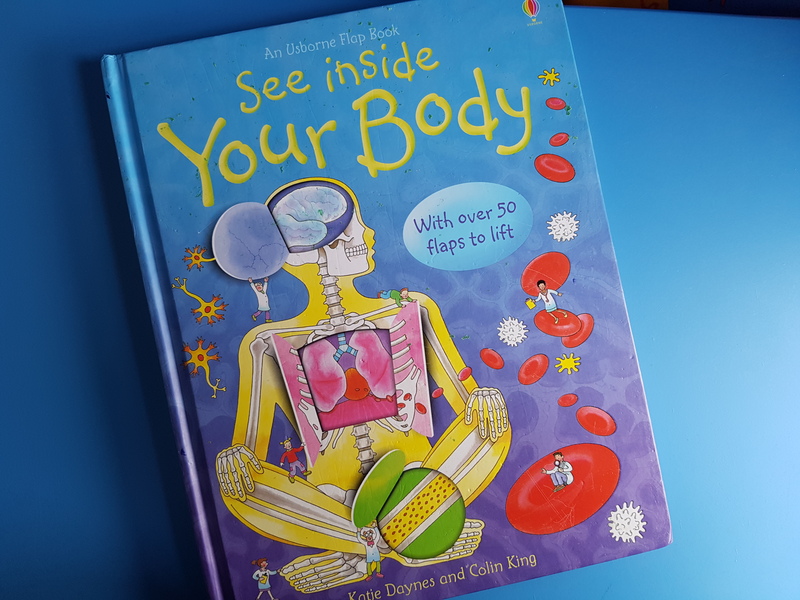 This popular educational series from Usborne shows young readers what it looks like inside your body, in a fun, colourful board book. There are plenty of flaps for your child to lift and discover further information. 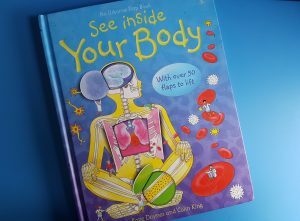 As well as covering human anatomy there are similar titles including the topics of space, planet earth, the sea and more. Note to parents: these books make brilliant birthday presents for your children’s friends! Winnie is an enduring heroine who appeals equally to girls and boys. Her exploits are delightfully madcap! The illustrations are so finely drawn that it takes many, many readings to thoroughly appreciate all the hidden humorous details. Winnie The Witch is the original tale, which has now been expanded into a whole series of adventures, all of which are highly recommended. This book is almost as much fun for the parents as it is for the kids! Don’t forget to check out our other blog post on Making Reading Fun! What are your favourite books to read with your little ones?